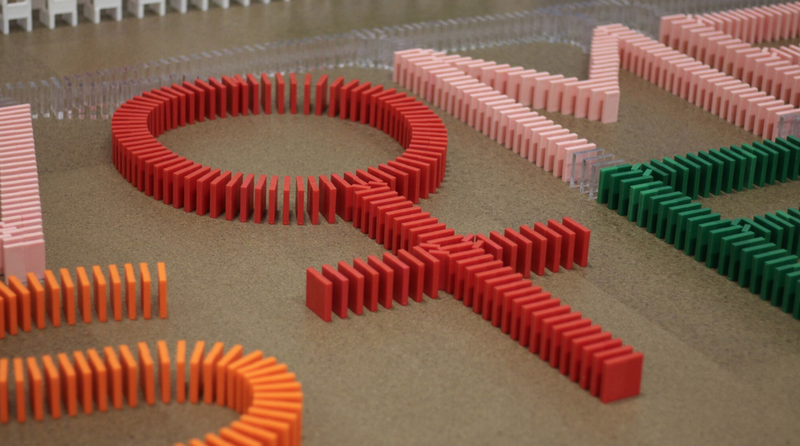 For my piece I created an installation using over 10,000 dominoes focusing on the need for STEM education in America and particularly women in STEM. My goal was to spark young girls' interests in science, technology, engineering, and mathematics and to inspire them to pursue their passion for STEM even though it is not a common field to go into for women. I want girls to know that there is an amazing community of women in STEM and they shouldn't be afraid to follow their passions because of a gender gap. The more girls that go into STEM, the more we can all work together to close this gap and break stereotypes that STEM is for boys.